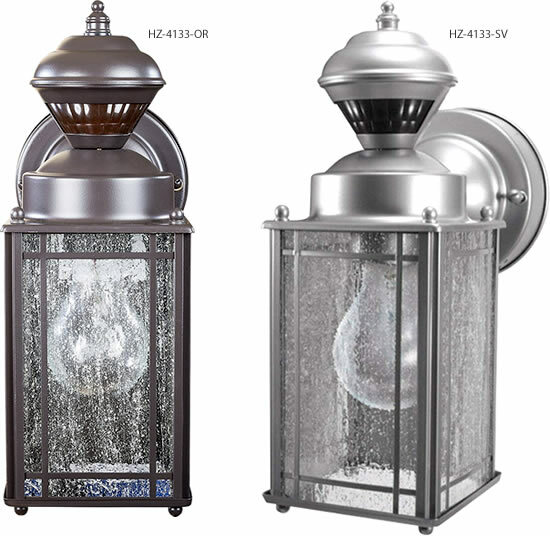 11" x 9" x 13"
This barn light inspired outdoor light has a built-in motion sensor feature. 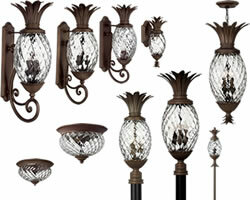 The fixture is LED integrated with no bulbs needed and uses less than 15-Watt of energy. 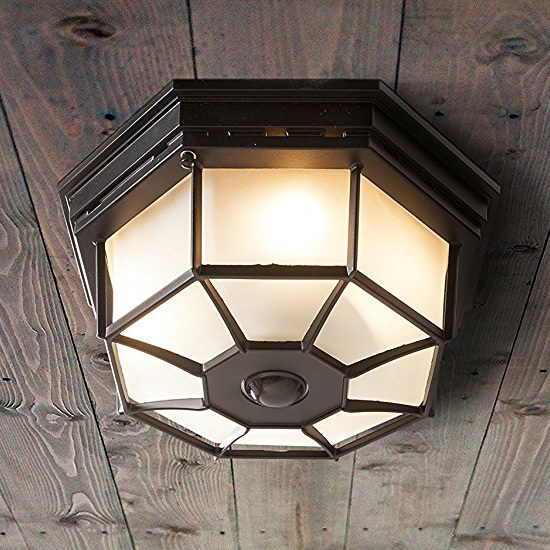 The fixture comes in a oil rubbed bronze finish that will match any decor. 9" high x 8 1/2" wide. Extends 11" from the wall. Steel construction. Round clear seeded glass shade. Dusk-to-dawn mode and motion sensor mode. 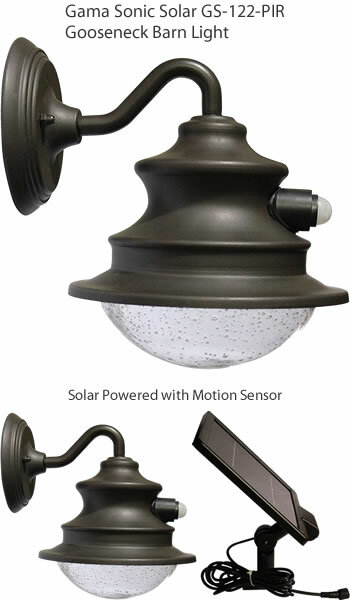 Motion sensor has a 220-degree and 10–40 feet range. Manual Override allows light to be on for an 8 hour time frame. Customizable shut off delay of 2 or 6 minutes after motion is no longer detected. 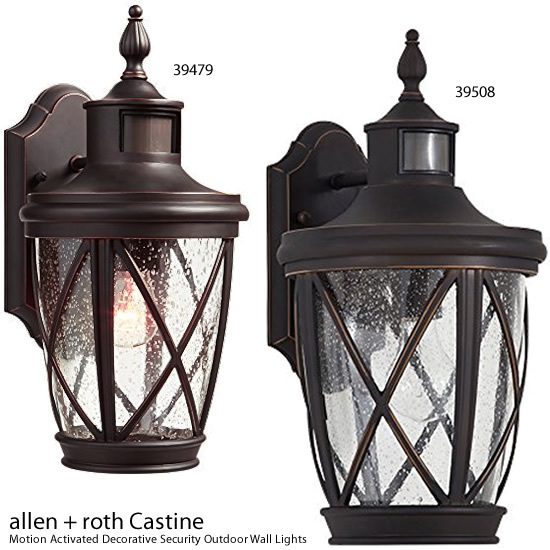 Rubbed bronze finish with clear seeded glass outdoor wall light from the Castine collection offers timeless beauty. 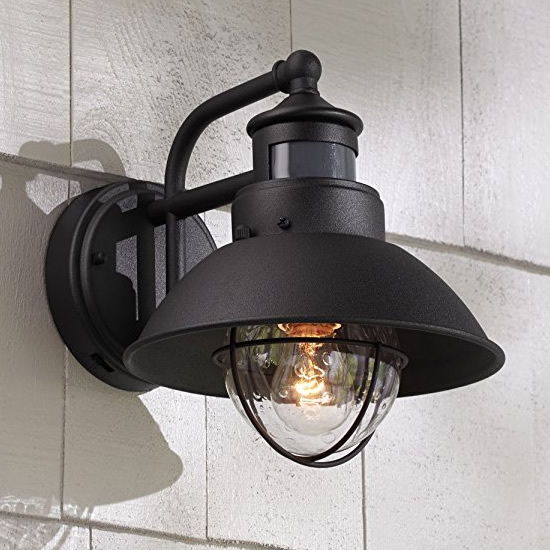 Weather-resistant die-cast aluminum offers long-lasting durability. 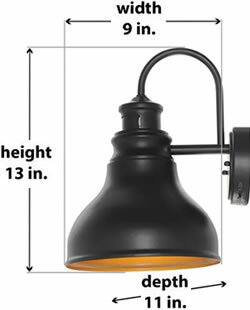 Width 4.4" x Height 11.1"
Motion activated nighttime lighting which detects motion up to 30 feet away. 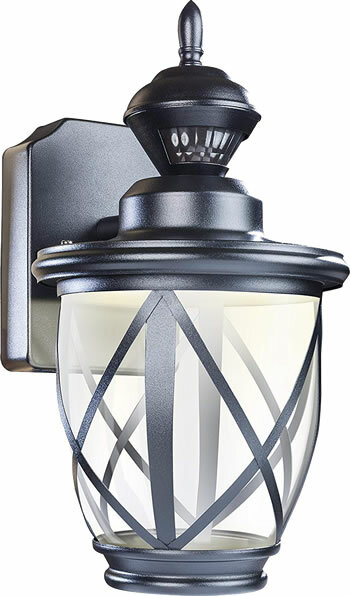 Designed to provide safety, convenience, and security outside the home, this decorative Heath Zenith motion-sensing security light provides reliability and peace of mind at a price you can afford. 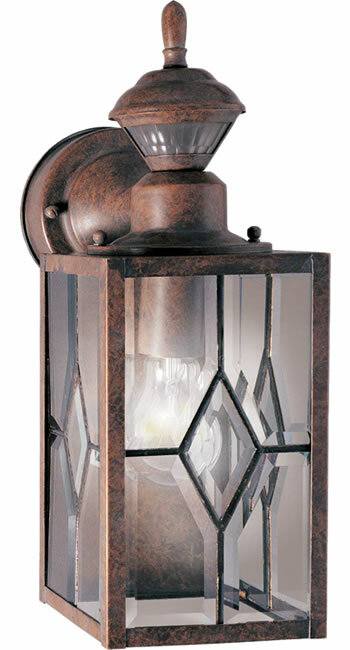 Offering a classic Shaker Cove Mission style, this lantern can be configured as a carriage light, lantern, or coach light. 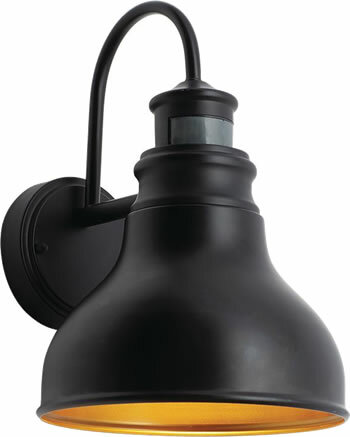 The SL-4133-OR features 150-degree motion detection at up to 30 feet, and it uses one 60-watt medium base incandescent bulb (not included). 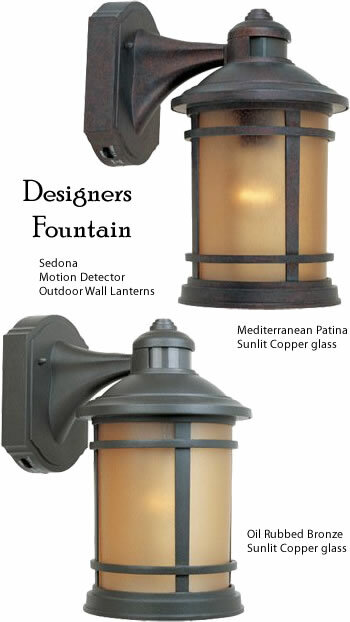 This model comes in oil rubbed bronze, and it's also available in silver. 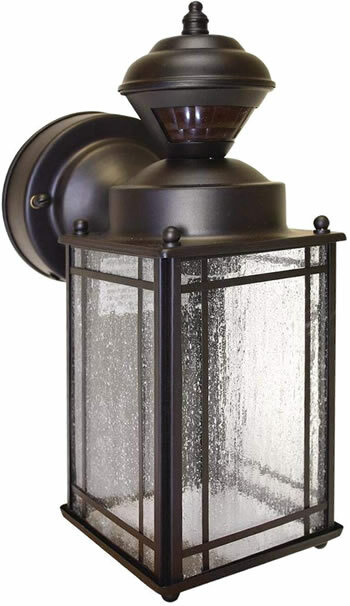 Oil rubbed bronze weather resistant finish with clear seeded glass. 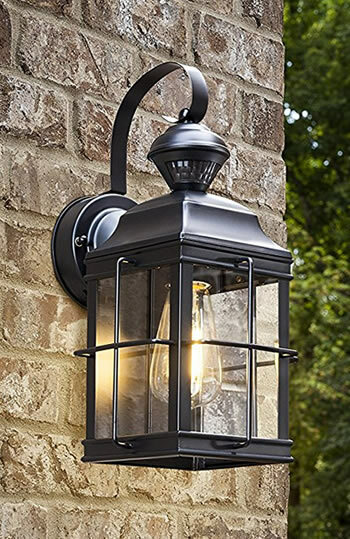 Width 8.3" x Height 15.8"
Motion-activated lights are convenient and energy efficient, but they can be a little bulky and awkward to look at-in the driveway is fine, but you wouldn't want to put one on your porch. Unless it's one of Heath Zenith's porch lights, that is. 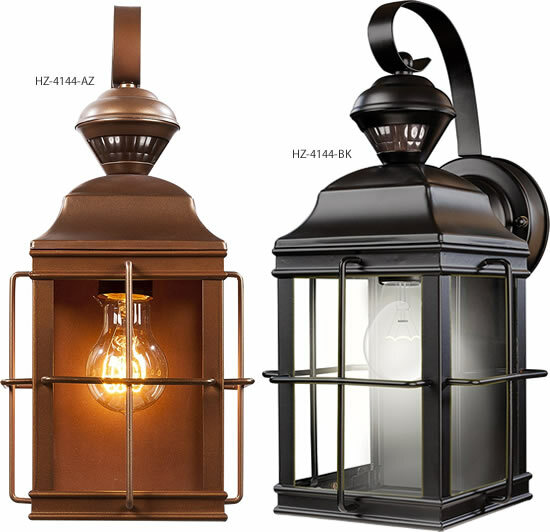 These products give you the best of both worlds, combining motion-activation and traditional lantern design. 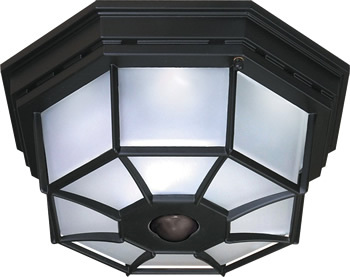 The SL-4144 is a four-sided New-England style lantern that includes a hidden motion-sensing device. This device will detect movement in a 150-degree radius up to a distance of 30 feet. You can set the light timer to one, five, or ten minutes, and the sensor itself may be adjusted to give you more or less sensitivity (so it doesn't light up every time a car drives by). 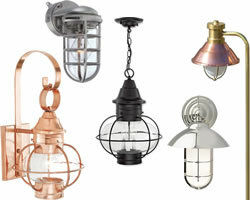 The weather-resistant antique bronze finish means it's going to look good for a while, too. 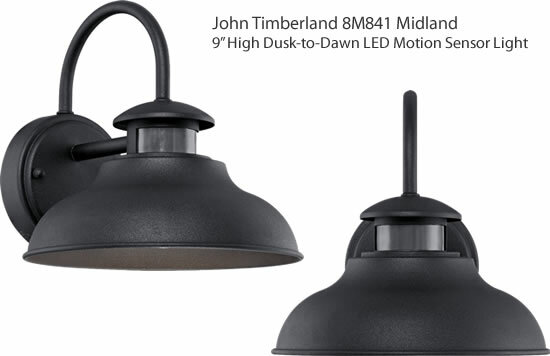 This model also features "Dual Brite" lighting, which means you can use it for low-level accent lighting in addition to the full-light effect you get with motion-activation. 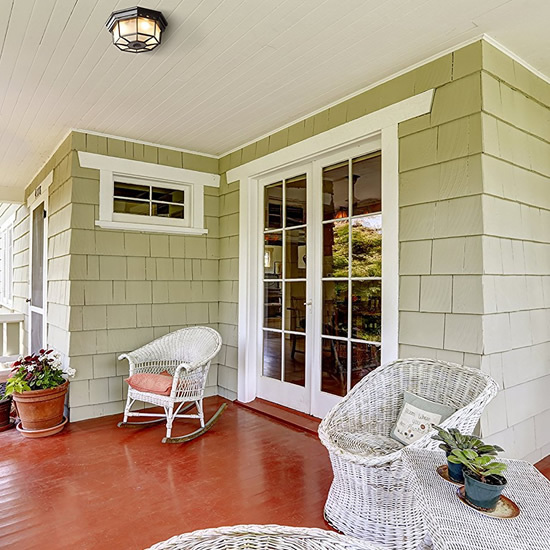 An included timer allows you to set low-light mode for three hours, six hours, or dusk to dawn (an automatic photocell deactivates the unit in daylight). Dimensions: 7" x 8.5" x 12.8"
Dimensions: 7.6" x 5" x 14.2"
Width 11.9" x Height 5.1"
Width 9.33" x Height 5.43"
Backplate Width 6.75" x Backplate Height 5"
Height Center of J-Box 2.25"
The simplicity and charm of the Mission style Hanover design adds a handcrafted look and added security to your exterior, featuring a motion detector and dusk to dawn operation. Finished in Mediterranean Patina or Oil Rubbed Bronze with Sunlit Copper. 9" high x 9 1/4" wide. Extends 10 1/4" from the wall. Backplate is 4 3/4" wide. Built-in 10 watt LED array. Non-dimmable. 3000K. 80 CRI. 750 lumens, comparable to a 60 watt incandescent bulb. 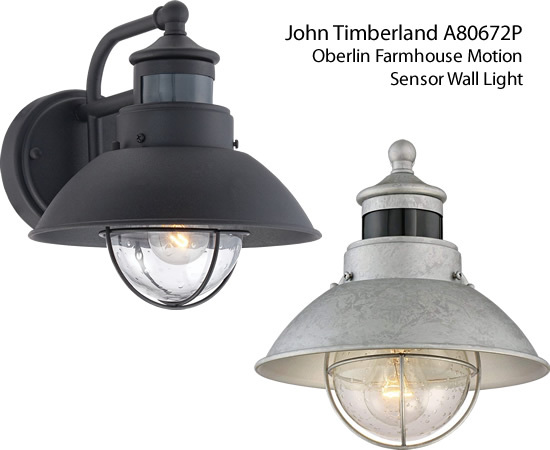 Built-in motion sensor and a dusk-to-dawn photocell sensor; LED outdoor light from John Timberland. 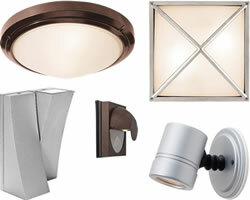 4 operation modes: motion sensor day or night; motion sensor night only. Dusk to dawn mode. Manual override, light on, off at dawn. 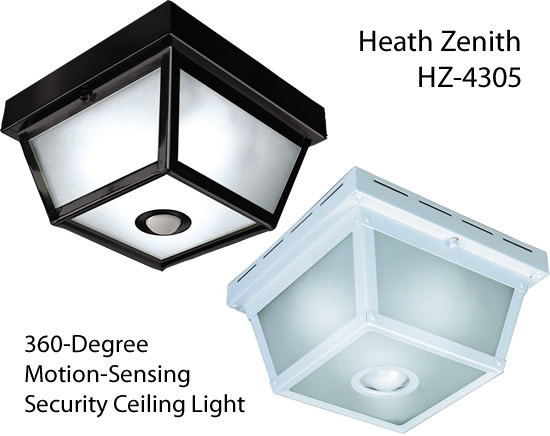 Motion sensor detection range of 40-feet, 220-degrees. 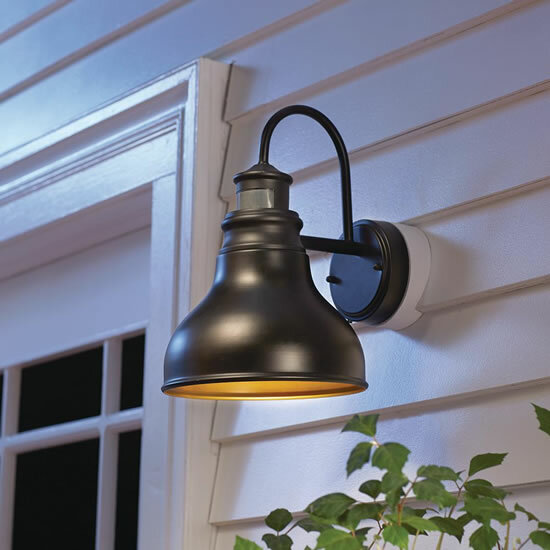 This outdoor solar powered wall light is powered completely by the sun and equipped with an internal lithium-ion battery pack, which charges when sunlight hits the device's solar panel. The Solar Barn Light can detect movement from up to 15-feet away. When movement is detected during the night, the illumination will brighten to 150 lumens for 45 seconds. Installation is simple and takes minutes and does not require electrical wiring, just place in a spot with direct sunshine. The monocrystalline silicon solar panels are protected by durable, cleanable tempered glass. 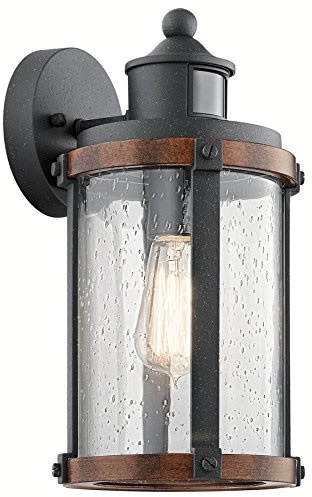 Additionally, this Gama Sonic solar powered wall light is also made from rust-resistant cast aluminum with a powder coated black finish for long-lasting performance.